Investigation of plant taxonomy, classification, and phylogeny is a dynamic process that has been in flux since humans put names to plants. Modern work involves cladistic methods applied to various types of information including for example, morphologic, chemical, cytologic and molecular data. A number of approaches to the delineation and arrangement of plant families could be utilized in a regional flora project such as FNJ. It all depends on what the creators and users of the manual want to share or learn. For example, the ongoing Flora of North America Project decided over a decade ago to follow the Cronquist familial scheme (Cronquist 1981). This is a huge project and to keep it from becoming too complicated, the utilized a system that everyone was familiar with. 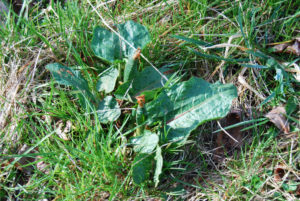 In a more recent product, the Flora of the Carolinas, Virginia, Georgia and surrounding areas (Alan Weakley, 2009) the author decided to use the results of modern morphological and revisionary work. The Flora of New Jersey Project (FNJ) follows the Angiosperm Phylogeny Group (APG) for its familial scheme. In addition to a catalog of angiosperm families, APG has also accomplished work on gymnosperms and true ferns. This information can be found on the APG web page through the Missouri Botanical Garden’s page (www.mobot.org/MOBOT/Research/APweb/). At this time, fern classification follows Smith et al (2006). If the FNJ becomes aware of approaches the information will be reviewed and used if appropriate. A list of family names has been organized under their appropriate orders for use in the FNJ project. This list has been constructed by the FNJ Nomenclature Committee and will be reviewed and revised annually depending on the data available from APG and other sources that FNJ considers appropriate. The expanded and amended APG familial scheme will be adopted for all products of the FNJ. Ferns: Smith, Alan R., Kathleen M. Pryer, Eric Schuettpeltz, Petra Korall, Harald Schneider & Paul G. Wolf. 2006. 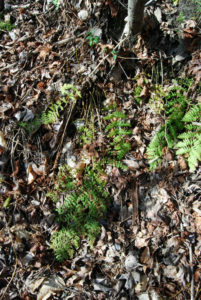 A classification for extant ferns. Taxon 55 (3): 705 – 731. The Angiosperm Phylogeny Group. 2003. An update of the Angiosperm Phylogeny Group classification for the orders and families of flowering plants: APG II. Botanical Journal of the Linnaean Society, 2003, 141, 399-436.